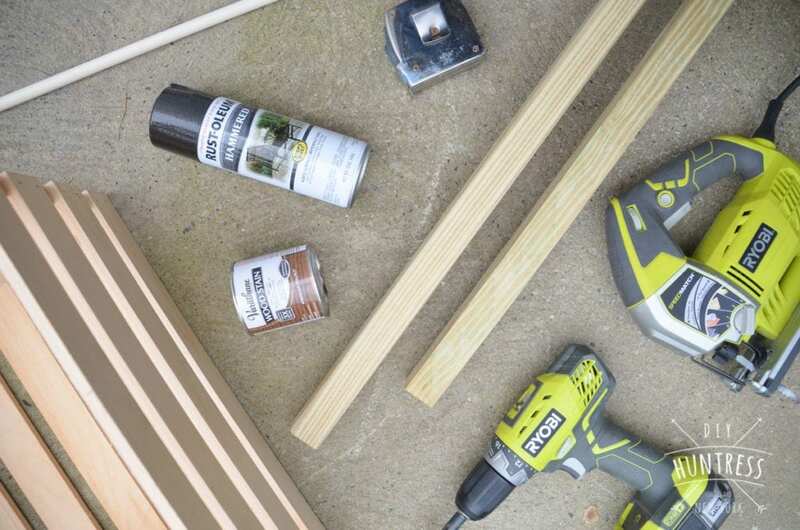 To help spread the word about The Home Depot’s Do-It-Herself (DIH) Workshops, myself and a handful of awesomely talented bloggers were asked to share our spin on a cute wooden wheelbarrow project. Well, today is the day for our big virtual party, and here’s my take! 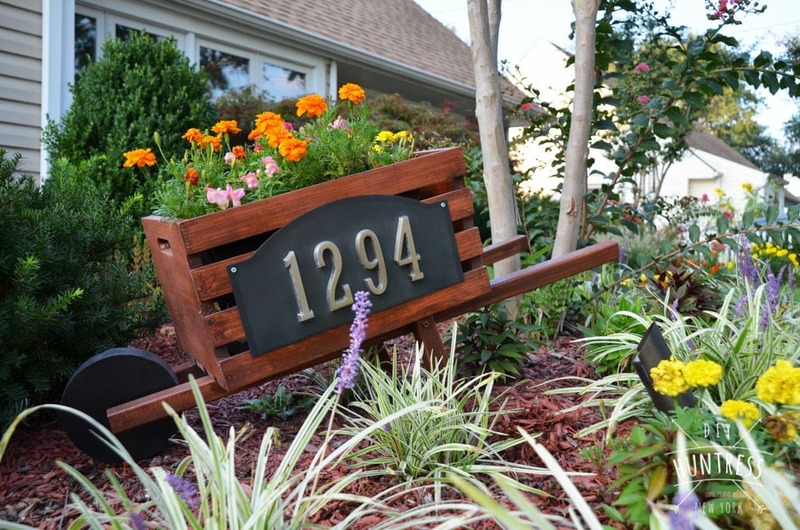 A fun home address wheelbarrow! 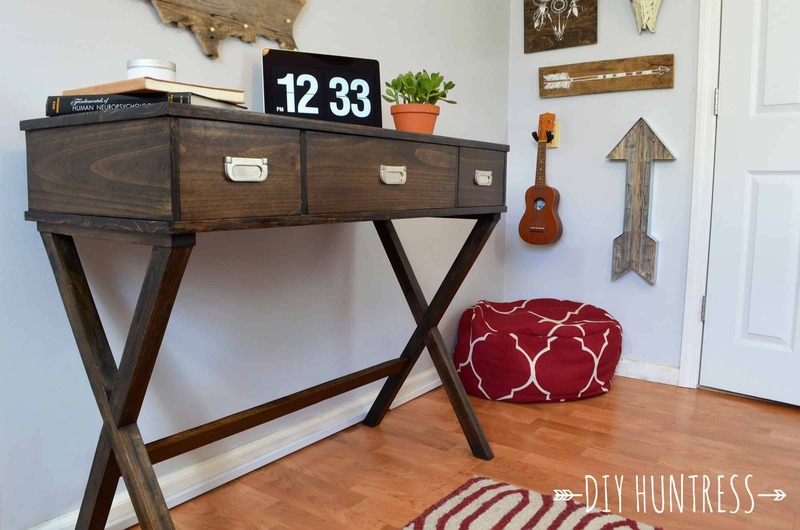 Here’s how I made mine, and how YOU can make your own at a FREE workshop near your home! My parents’ house is the cutest, but their house number has been on the ground for ages – so, this was my creative fix! The project only took about an hour and added a really awesome impact to the rentals’ yard. 2. 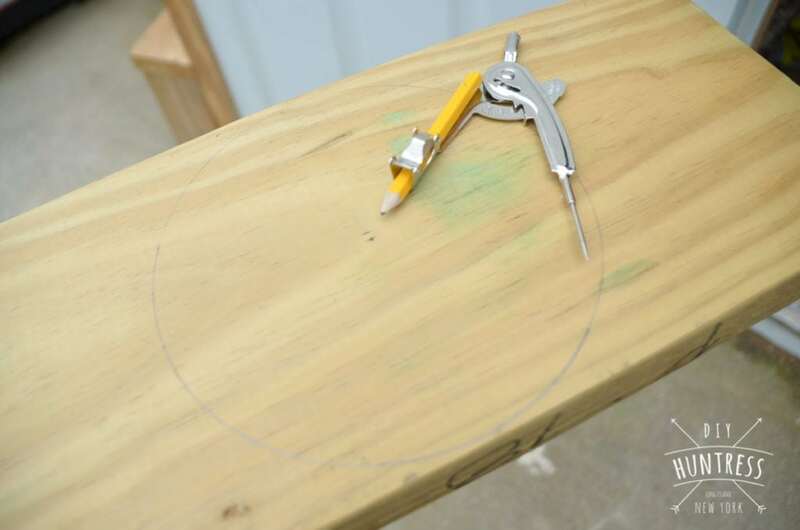 Use a compass to map out a 7″ wide circle on the 2 ̋x 8 ̋x 8 ́ Prime Kiln Dried Board. 3. 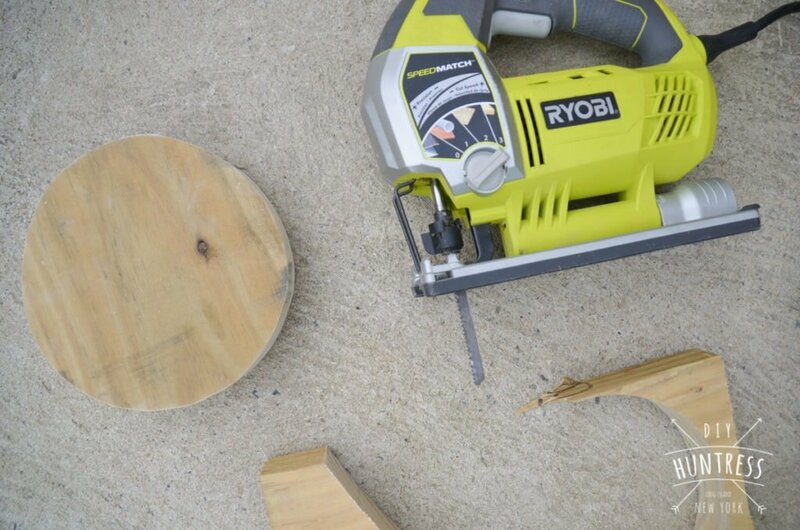 Cut out the circle with a jig saw. 4. 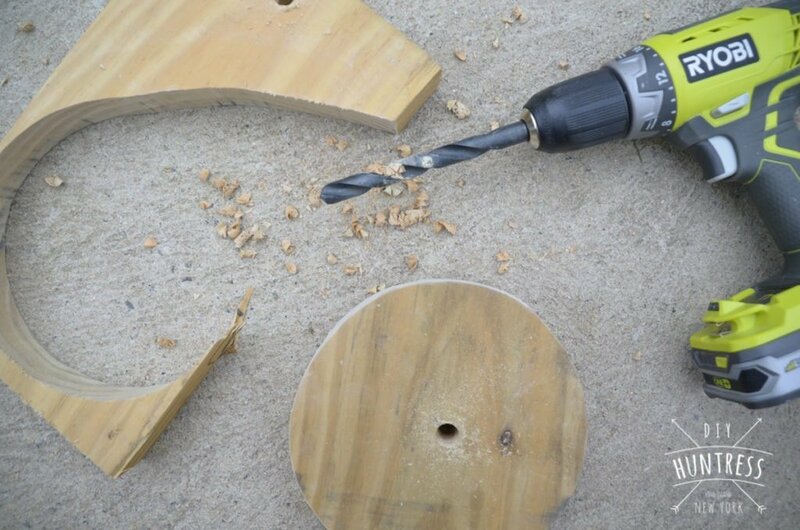 Use the ½” drill bit to drill a hole through the center of the wheel for the axel to fit. 5. Paint your wheel. 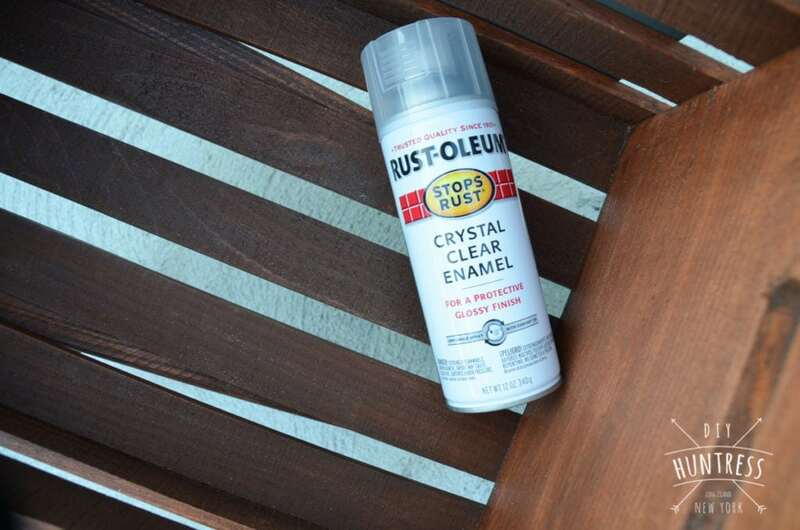 I used Rustoleum’s Hammered spray for mine! 6. 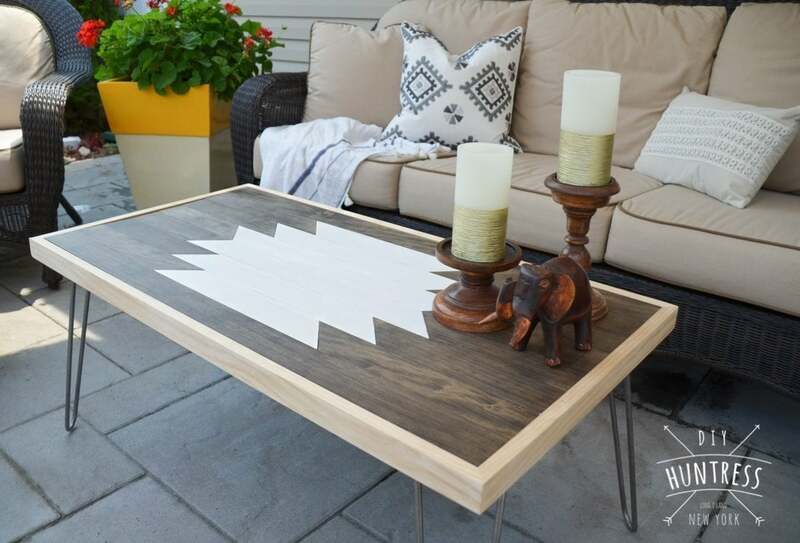 Measure and mark the center of both remaining Wood Square End Balusters at 1 ¼” from the ends. 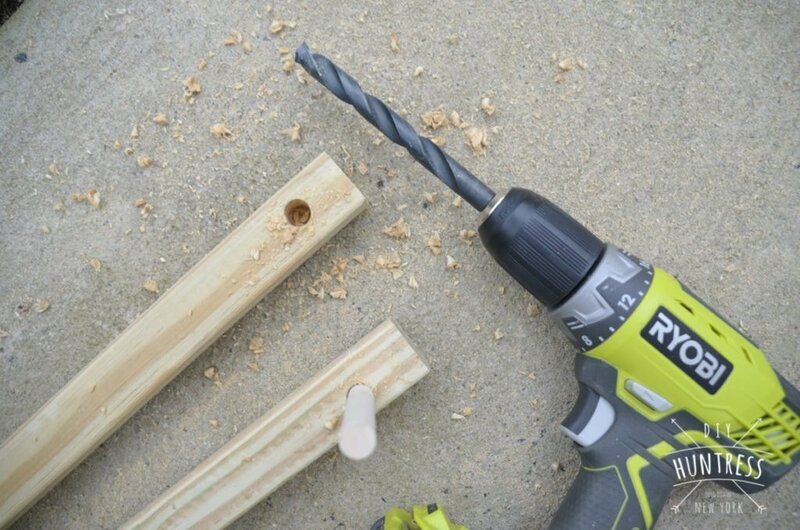 Using the ½” drill bit, drill a hole halfway through the baluster at the center mark. This is where the axel for the wheel will go. 7. 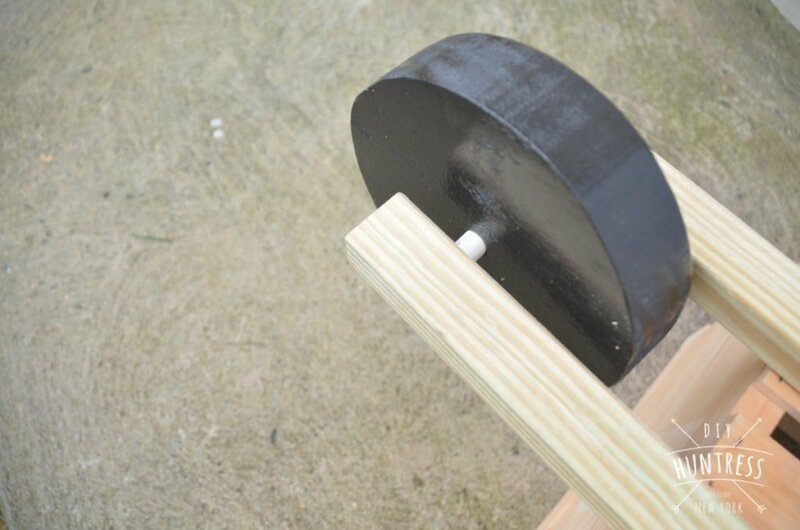 Insert the axel through the wheel, and install the wheel into the square balusters. 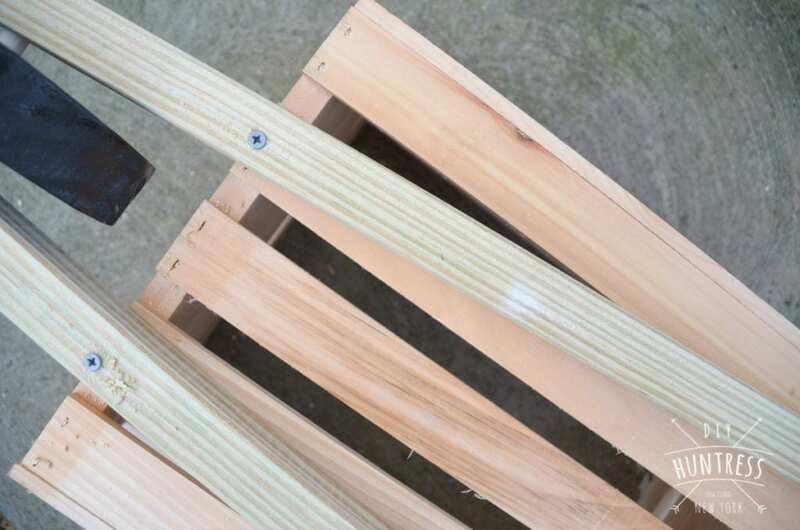 Once this is done, screw the balusters onto the bottom of the crate with2 ½” screws – make sure the front of the balusters and the wheel overhang by 6″. 8. 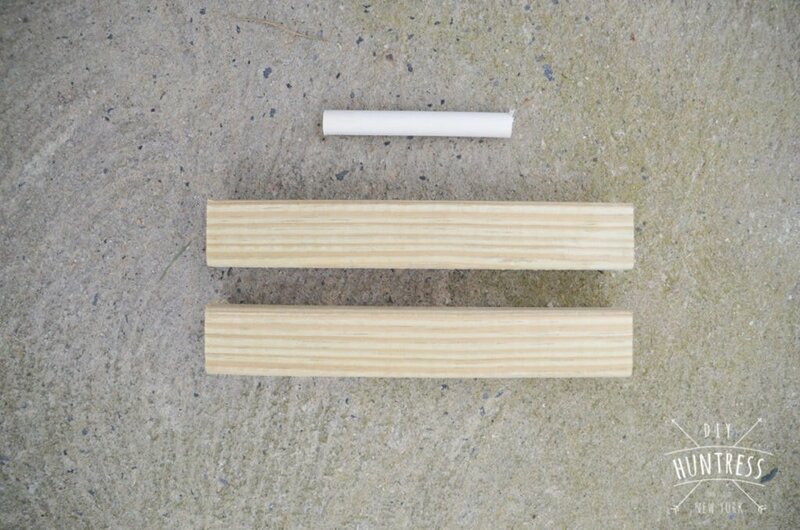 Add the smaller 8″ balusters to the outsides of the longer balusters to create the feet. 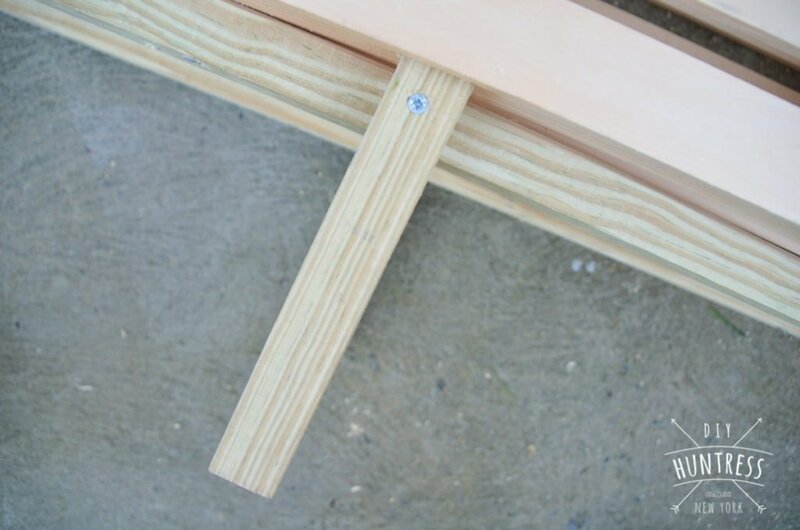 Screw them into the sides of the longer balusters and the bottom of the crate. 9. 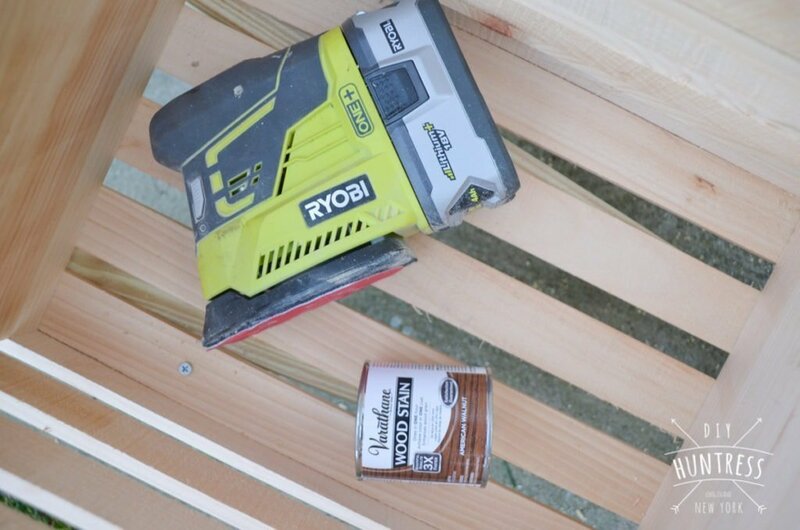 Sand and stain the wheelbarrow. 10. 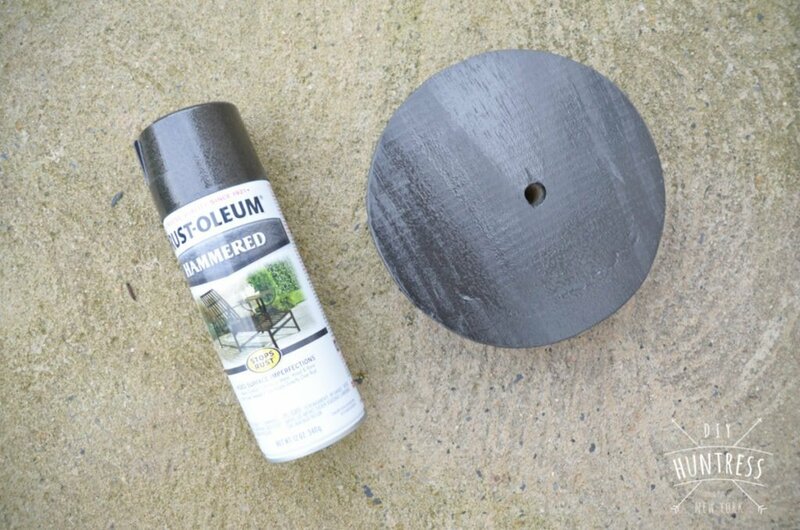 Seal the wheelbarrow for outdoor protection – I used a spray finish to get into all of the nooks & crannies. 11. Add your house number. 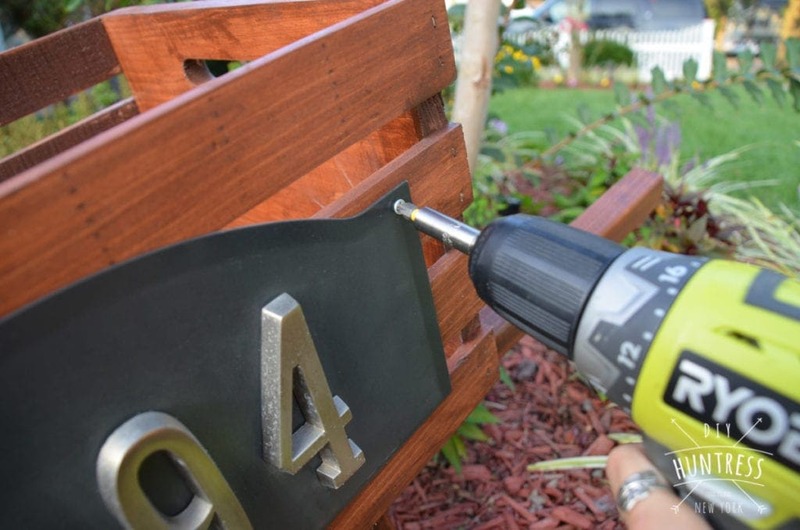 Display your house number with love! 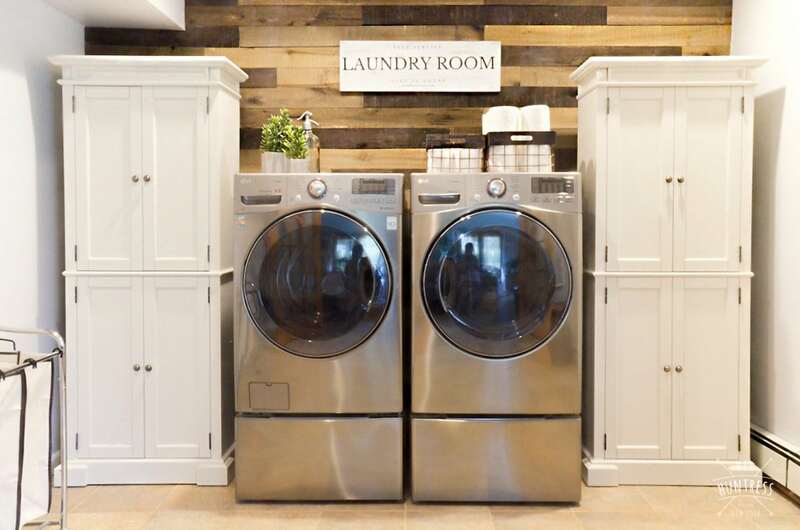 Want some other great ideas for this project? Make sure to check out all of the projects created by the talented team of bloggers that were chosen for this round! What a fun and unique way to display a house number! Filing this idea away for later. I really love your idea of using it for your house number! 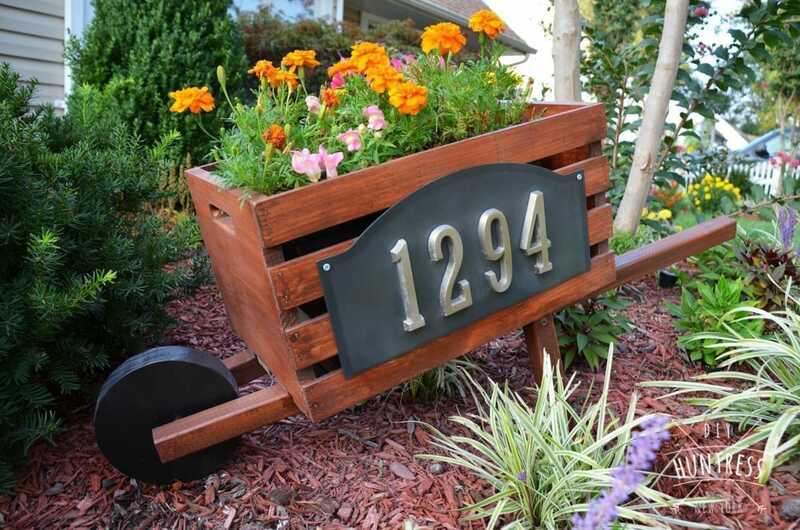 LOVE the house number sign on the side of the wheelbarrow! Looks awesome loaded with flowers and would be perfect year-round! sam, super cute approach to using the wheelbarrow. Im sure your parents love it!